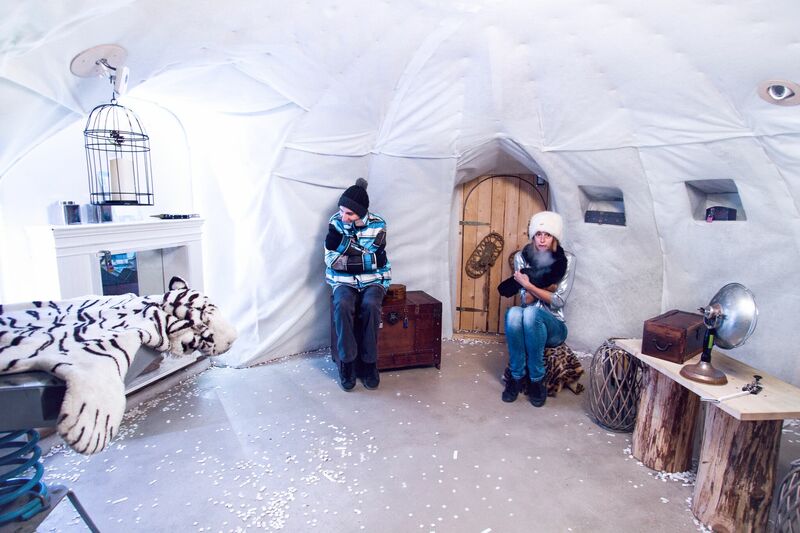 Not only was Enigmarium® the first to open a real life escape room in Ljubljana in September 2014, five months later, we created the world’s first Escape Igloo® from real snow. Thus, literally the world’s coolest escape room earned us the Snovalec 2015 Award for innovation in tourism awarded by the Ministry of Economic Development and Technology – Tourism and Internationalisation Directorate in cooperation with the Slovenian Tourist Board and the agency Spirit Slovenija and even brought us to the semi-finals of the Sejalec 2016 Award. Having designed and created more than 20 unique escape games in Slovenia, Italy and Croatia and ranked among the most popular tourist attractions in cities such as Ljubljana, Zagreb and Maribor (TripAdvisor), Enigmarium® has become a trendsetter and leader in gamification in the Alpe Adria region. Our proven ability to design thrilling experiences rich in a location’s cultural history has led to new innovations: from next generation escape rooms with a story fully incorporated into the local history in Maribor and Zagreb, Croatia to the gamification of an adventurous walk in the city centre (Unlock Ljubljana), to the gamification of a legendary outdoor exhibit at the Slovenian Alpine Museum in Mojstrana and even the gamification of a medieval castle in the Istrian village of Svetvinčenat in Croatia and the Ljubljana castle gamification project is about to be released in November 2017. WHAT IS A REAL-LIFE ESCAPE ROOM GAME ... AND WHY HAVE THEY BECOME SO POPULAR? “Escape rooms are live-action team-based games where players discover clues, solve puzzles, and accomplish tasks in one or more rooms in order to accomplish a specific goal (usually escaping from the room) in a limited amount of time. Today (Oct 2017) Enigmarium® runs 6 escape room games in Ljubljana, 5 games in Maribor, 3 in Zagreb, 2 in Laško and one in Murska Sobota. We are ranked among the most popular tourist activities in towns (Trip Advisor). It pays off that Enigmarium games are original, each one based on different story with unique challenges that you won’t see anywhere else, along with playful high-tech “gadgets”, developed by our Escape Lab team. We have conceived the challenges in such a way that each player has something to contribute. Not only is there no need to know a foreign language, but the game flow and the dramaturgical arc will keep the players on their toes until the very last second. 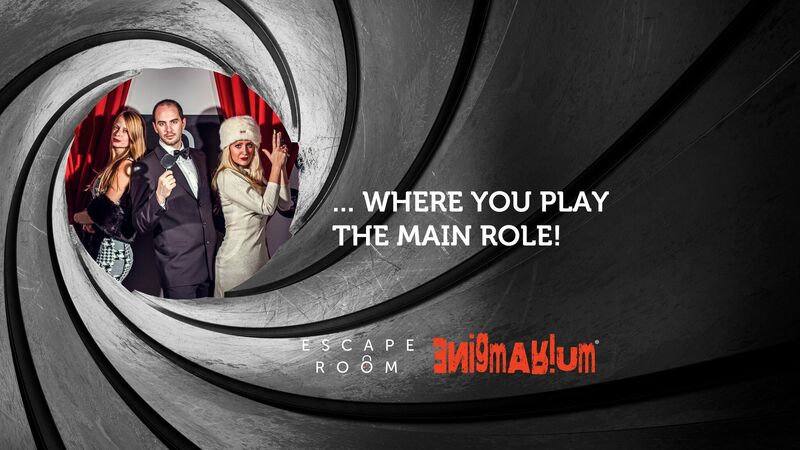 We take great care that at Enigmarium® you’ll find the friendliest gamemasters who are happy to spring to players aid (if needed) and to ensure that playing our escape game becomes an unforgettable adventure! That‘s why Escape Room Center in Ljubljana and Maribor received the “Certificate of Excellence 2016 and 2017“ from TripAdvisor. Today’s visitors to an attraction or to a city don’t want to be passive observers, they want to take part and enjoy in an active experience, an authentic experience and want the best value for the money / to pay for quality experiences. Every day a new escape room opens and market is becoming oversaturated. If we wanted to stay on the top in the region, we have to constantly develop and innovate. We must research and evolve the escape room experience. That’s why in our rooms in Maribor (Hannibal, September 2015) and Zagreb (the mysterious case of Zagreb’s Witch, April 2016) , you travel by time machine to discover a story, ambient, challenges and amazing high-tech gadgets completely immersed in the city’s history. We wanted to create something new for tourists who wanted to experience a real story connected with the place they are visiting. We researched Zagrebʼs history to find something extraordinary, and extracted the story from an actual historical court file about Barica Cindek, a woman accused of witchcraft in 1743. Players uncover the story of beautiful Barica, who was accused of witchcraft and sentenced to burn at the stake. They have to find the passage to the 18th century and save her. We went through the same process in Maribor: in the city’s archive files we found a story about Dr. Hannibal Bottinoni, a provincial-ducal doctor of infectious diseases from Venice, who was the only doctor who dared to treat people with the plague, because he had a secret recipe that kept him healthy. Players have to travel back in time to discover his secret and learn about that era in a fun way. 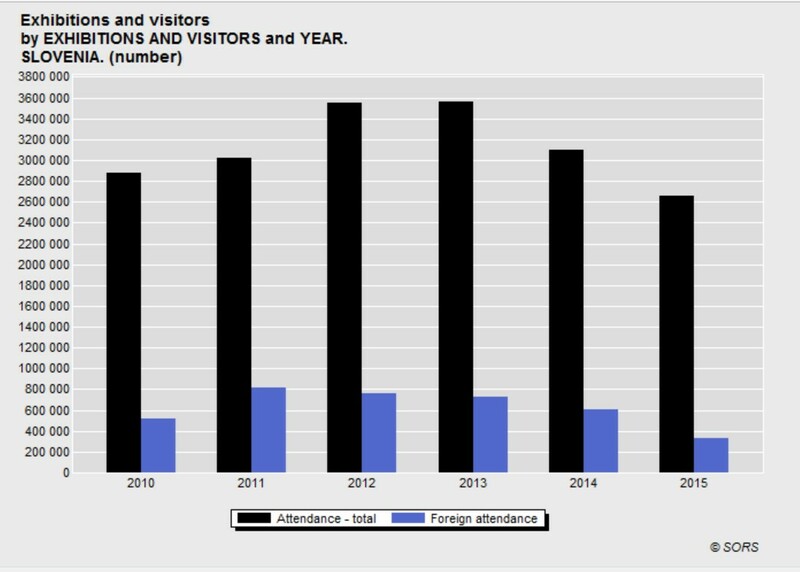 There is an interesting fact about the visitors to museums: even though there are more foreign visitors to cities in Slovenia, the number of the foreign visitors to museums is decreasing. With that in mind, we have developed different escape games or gamification projects, which are the perfect solution for people seeking activities in which they play the main role. Gamification expands the realm in which you can apply the principles of escape room games. It is the process of taking something that already exists and integrating elements of game play into it to create a new experience that motivates participation, engagement and loyalty. Our proven ability to design thrilling experiences rich in a location’s cultural history, such as our escape rooms in Maribor and Zagreb which are fully immersed in the history of each city, has led to new innovations and different spaces we will present below: 1) the gamification of the city centre, 2) the gamification of an exhibit at a museum and 3) the gamification of a medieval castle. An adventure walk in the city centre, branded as “Unlock®” becomes an interactive and challenging way to actively explore a city by combining familiar aspects of an escape room game such as puzzles, surprise twists and a locked (trademarked!) book to reveal a cityʼs unique history and forgotten secrets. Today you can play Unlock® in Ljubljana, Maribor and Zagreb, and in the popular spa and brewery town of Laško, Slovenia. You will literally escape from a room in this completely new game with the favourite elements of an “escape room” adventure – but this time in the fresh air! On an adventurous journey through the old city centre, players will encounter 7 entertaining tests, through which they will unlock the secrets of the city history, discover the unknown, be pleasantly surprised, exclaim “Eureka!” and have a blast. The game is suitable for teams of two to five players and even larger groups - up to 20 groups at the same time or up to 100 players. The Participants of the Global Green Destinations Day Conference, held on World Tourism Day 2016 in Ljubljana, also had a great time. The Slovenian Alpine Museum invited the Enigmarium® team to conceive and realise a pioneer innovation in the field of museum gamification by making “Escape to the Bivouac”, a playful adventure path added to its existing exhibit. It is not a classic “escape room, where the game is led by a gamemaster, but an innovative way of exploring a museum through (game)play that we have developed specifically for the project. A mountain storm is coming and you must Escape to the Bivouac. A storm is coming and the players must make it through the four challenges associated with mountaineering skills to survive. In May 2017, the Slovenian Alpine Museum received the prestigious “Valvasor Recognition for 2016” bestowed by the Association for Slovene Museums for the project: “Escape to the Bivouac”. In September 2017, the Forum of Slavic Cultures (FSC) bestowed the museum the award for the best Slavic museum, the 4th Živa Award. In a fun-filled adventure in the beautiful medieval castle Morosini Grimani in the idyllic setting of Istria’s Svetvinčenat (Croatia), players will embark on a unique and original adventure. To top it off, the story takes place in a genuine castle and includes puzzles brimming with actual legends and historical facts all which guarantee a realistic immersive experience! We are proud that the Municipality of Svetvinčenat entrusted our team with this innovative pioneer project of the first gamification of a castle, a project that has not only brought the castle, its walls and the local legends to life, but has enhanced the entire municipality’s offering. This completely original (and copyright protected) project marks an innovation in the field of “escape games” – a unique upgrade and intervention that did not interfere in any way with the cultural heritage – and it allows for up to 6 teams to play simultaneously in the castle. Escaping from a (real) castle has never been as fun as this! Thatʼs why our next project of the gamification is taking place at Ljubljana Castle – the most visited tourist attraction in Slovenia. Whatʼs next? While some people have been asking if the escape room trend will die out soon, we at team Enigmarium® have been asking ourselves: Where else can this gaming approach enhance our lives, our cities and cultural heritage? We see escape rooms not only as entertainment or even edutainment but also as a powerful mechanism for groups of people to bond and enrich their communication and relations in a positive and challenging way – how can we combine funology and gamification with motivation training and teambuilding? How we can enrich our cultural heritage? Our competitive advantage is that we are constantly innovating fresh concepts and ideas. Besides unique solutions for the Gamification of tourist attractions, you’ll find a new escape room in Laško (August 2016). The theme is completely immersed in the city’s rich history. In the same house, where the first mug of beer was brewed, you can discover a story, atmosphere, challenges and amazing high-tech gadgets all coordinated with the brewery theme. You can use all your senses there and even learn something.